Stefan Della Rovere completes the Sheffield Steelers' line-up for 2018-19. Picture courtesy of EIHL. 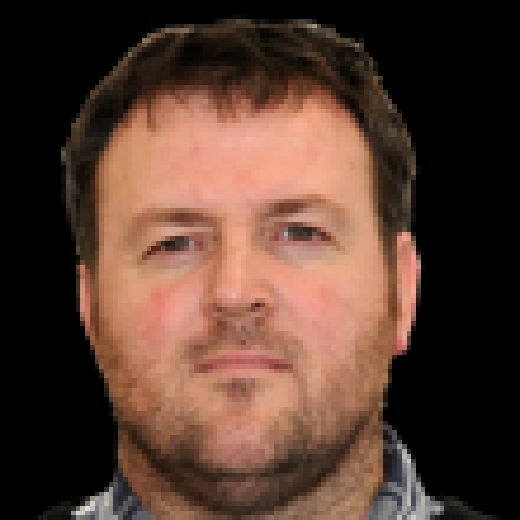 Sheffield Steelers’ head coach Paul Thompson admits his new-look line-up for the 2018-19 Elite League season will need to work quickly to discover the right chemistry when it begins to come together for training camp next week. The Steelers completed their line-up for the forthcoming campaign with today’s signing of Canadian forward Stefan Della Rovere, who spent last season with German DEL 2 side Kassel Huskies alongside fellow new arrival at Steelers, Evan McGrath. FAMILIAR FACE: Stefan Della Rovere spent a short time with Braehead Clan at the tail-end of the 2016-17 campaign. Picture courtesy of EIHL. The 28-year-old was a seventh round draft pick for the Washington Capitals in 2008, with his seven appearances in the world’s top league coming in 2010-11 after he was traded to the St Louis Blues. 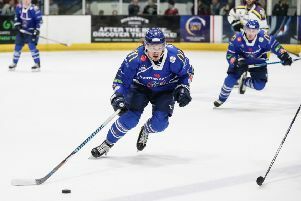 The majority of his career has been spent in the AHL and ECHL, with a stints in Italy and, briefly, at EIHL rivals Braehead Clan at the back end of the 2016-17 season before his move to Germany. “We believe Stefan can come in and play a power forward role for us,” said Thompson. “He didn’t have the best of years in Germany last year but I understand the reasons why. He is looking to bounce back and I believe he will create and score goals for us. Steelers’ head coach, Paul Thompson. Overall, Thompson is happy with his summer dealings – the biggest overhaul he has ever undertaken during his long coaching career, but one heis convinced will bring success back to the Steelers, who ended last season without silverware – the first time in his three seasons at the helm. The aim, quite clearly, is to close the gap on the Cardiff Devils, who have now won the regular season title for the last two years. “I think there is a good balance to our team,” added Thompson. “I like our line up and can’t wait for us all to get together on the ice.